Teaching is god's gift. And I feel honoured to have the gift third year in a row. This ARTS WORKSHOP held at SINDA, on 8th September 2012, marks the third year of my teaching experience. 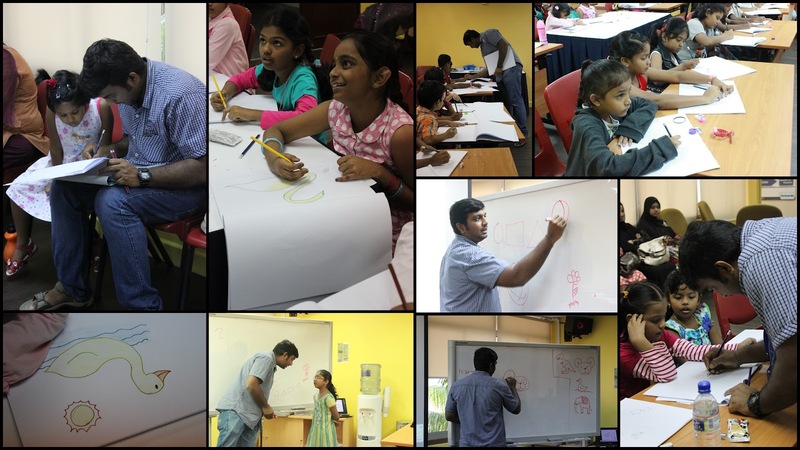 It was an enriching and exhilarating day for me as an unexpected amount of around 35 kids arrived to attend the workshop. I followed an agenda that I had created earlier. 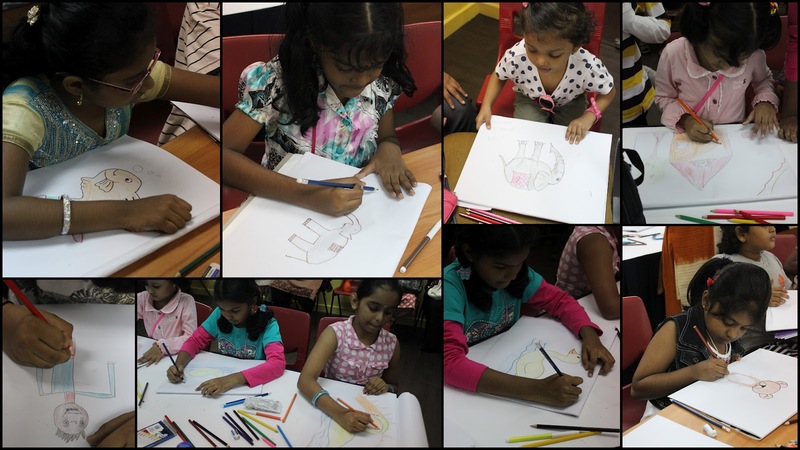 The motive of the workshop was to teach the kids the proper way of sketching and coloring using basic shapes. 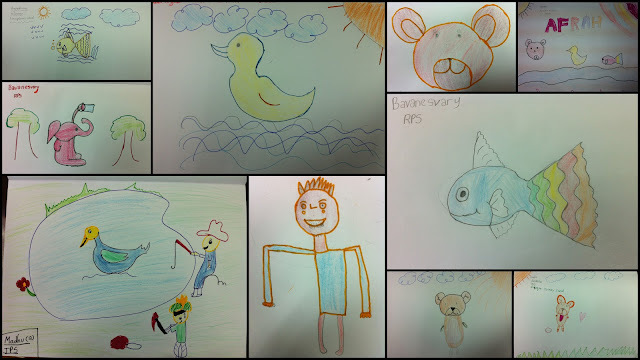 Creating characters using basic Shapes. Indeed, the response from the participants were huge and they all enjoyed the workshop. Many even personally came up to me to thank for the informative session. In order to make full use of the 3 hours provided to me, I had to prepare a step-by-step agenda and come up with a flow for the workshop. Thus, I began with an introduction of myself and informed the kids of what animation is and that the basic to animation is drawing. Next, I had started the session with a short flash clip that encompasses of basic shapes that can be arranged to become as a fish and finally with colour. This was the sneak preview of the whole session. 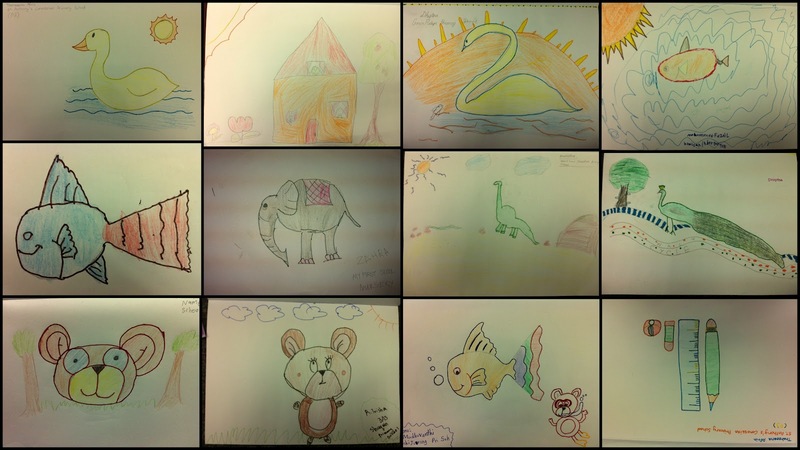 Each student were attentive and active during the workshop as they came up with excellent pieces of art pieces as seen from the photos. Before ending the session, the students were put through a drama competition that allowed many to display their talents. Ultimately, at the end of the arts workshop, prizes were presented to the top 3 growing artists and one kindergarten student for her excellent talent. At the end of the day, I had an enriching experience and I believe that this is not the end but the beginning of my teaching journey. Indeed teh workshop was a huge success and received positive response from the kids. However, all this would not have been possible without the support and encouragement of BS Abdur Rahman Crescent Alumni Association and NTU TLS members.